If you’re using a CNAME on your root domain, you’re gonna have problems. That’s just a DNS thing – and if you want to host a root domain on S3, you won’t be provided with an IP address by AWS. You can solve this if you use Route53, but what about if you want to keep your domain in Cloudflare? 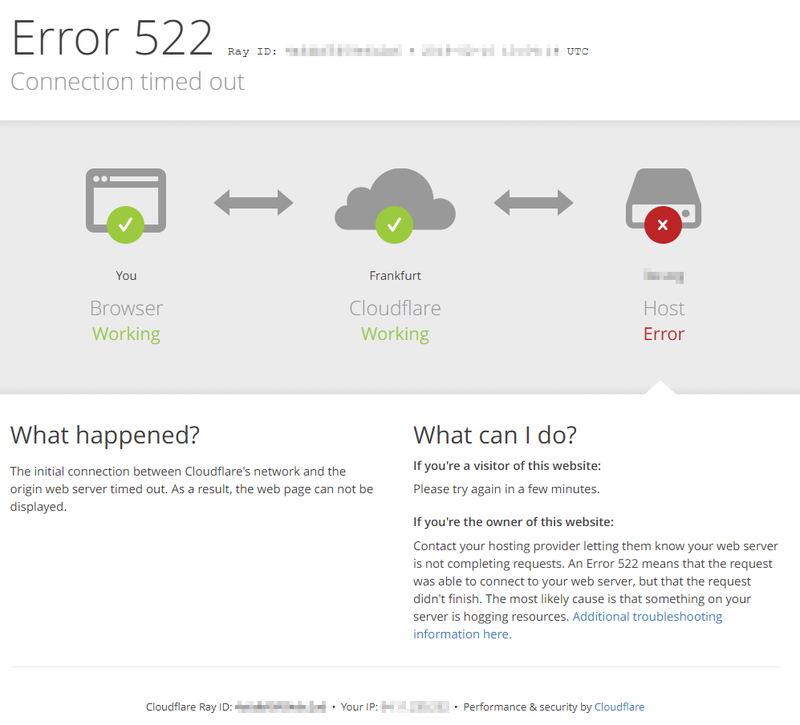 You’ll also have problems if you want to use Cloudflare Full SSL on an S3 bucket configured for static website hosting – resulting in nothing but Cloudflare error 522 (Connection timed out) pages. My use case is a set of simple redirects, following on from a post about 301 redirects in S3. The easy solution to both problems is to use CloudFront to serve https requests for your bucket; but I’m going to assume that you want this solution to be as cheap as possible – and use only S3 from within the AWS ecosystem.